On Sunday July 27th, 2014 the Costa Concordia wreck, kept afloat by 30 sponsons secured to its sides, entered the port of Genoa at about 11 a.m. and at about 5 p.m. was eventually moored to the Prá Voltri quay, 30 months and 15 days after the ship sank on January 13th, 2012 in front of the Giglio island harbour, after colliding with a rock of ‘le Scole’ reef, that opened a big flaw in her hull on portside. Tecon has been involved in the removal project by the Titan (USA)-Micoperi (Italy) joint venture since the very first days of the challenge promoted by the ship owner, insurance companies and Italian government ‘observatory’ and Tecon engineers were among the few key people in the ROC, the Remote Operating Container where from the parbuckling and re-floating operations were mastered. 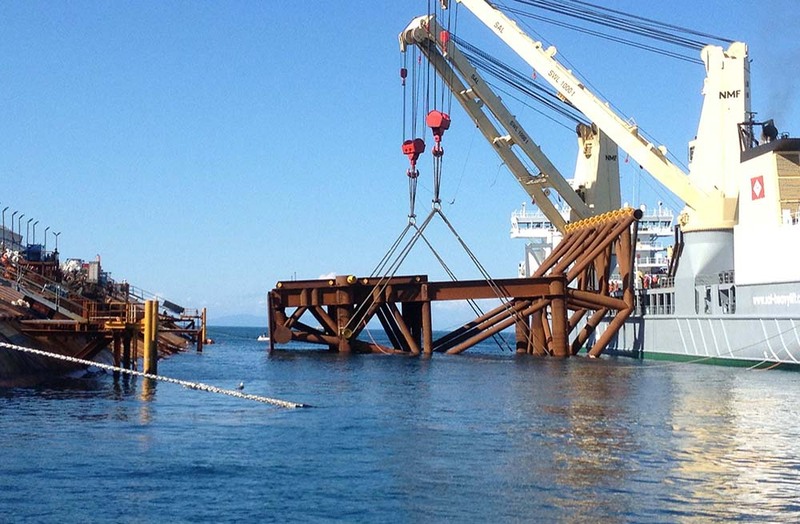 The Costa Concordia Wreck Removal Project asked for the safe removal of the wreck of the Costa Concordia cruise ship. Basic requirement of the challenge was to not dismantle or cut in pieces the wreck on site, but to remove it as a single unit, preserving the environment, and restoring the original site conditions by the removal of all temporary works. 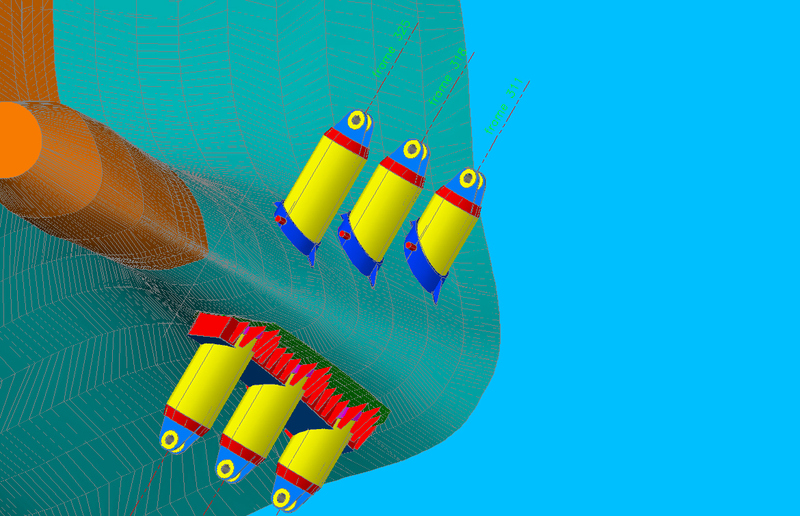 The Titan - Micoperi joint venture won the challenge, with the solution of pulling the whole wreck back to a vertical position (parbuckling phase), remaining on temporary supporting structures. 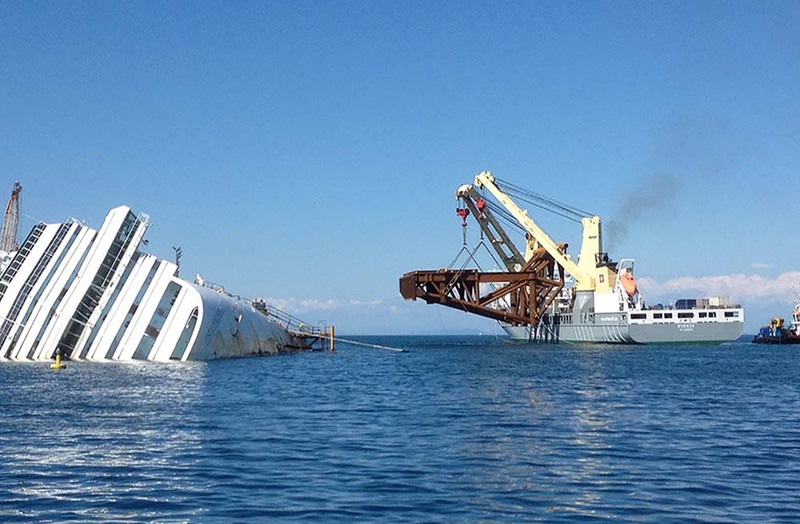 The re-floating was then achieved by de-ballasting a number of sponsons previously connected to the wreck. The project was challenging, due to the size of the ship, the ground conditions, the delicate environment and the time frame; other than being the first salvage of this kind. The weight of the three main platforms is about 1500t each. The platforms are made by tubular space frames supporting a flat, bearing deck. The platforms are supported by drilled and grouted large diameter steel piles. The soil is mainly granite rock but varies in composition and properties. 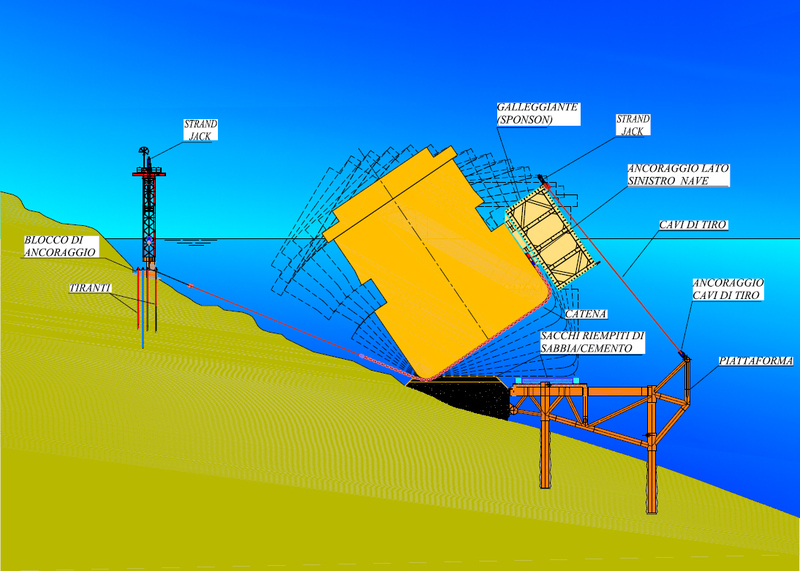 Piles have been partially preinstalled through suitable guiding frames. The platforms have been prefabricated in various Italian yards, transported to site on cargo barges and installed by a lifting vessel. The project peculiarity stood in the integration of different design teams over multiple locations, which did need to collaborate and coordinate in order to achieve the same task. 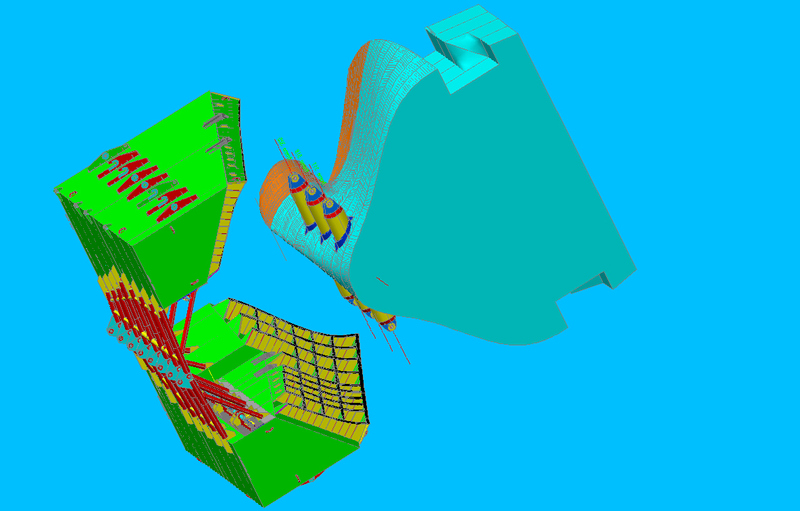 The involvement of several disciplines made the project management and the structural design more challenging and unique. Continuous changes in the procedures to be followed for the design, construction and even in the daily refined, data base had to be negotiated with the strict time frame. 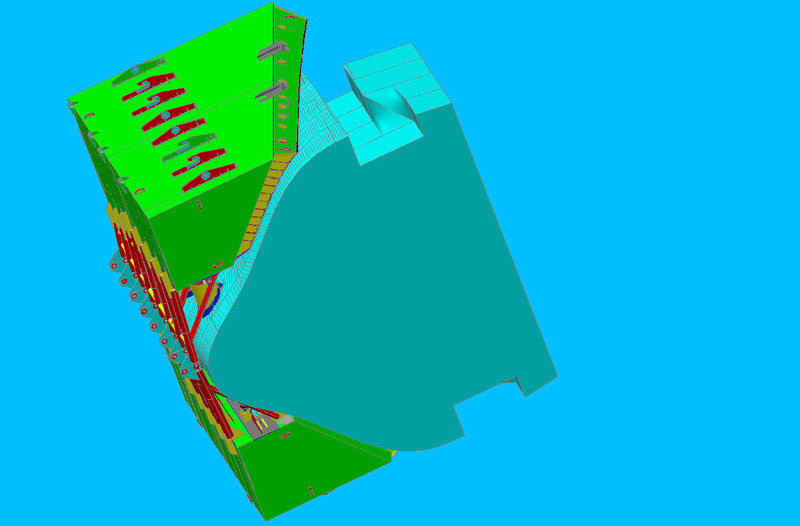 TECON was fully involved in the concept design for bid and in developing the detailed design of all auxiliary structures and on all the phases of the installation engineering.